Roberto Tecpile (left) and John Rosenow (right), owner of Rosenholm dairy farm, walk through a dairy barn in Cochrane, in Buffalo County. Tecpile has worked for Rosenow for four years, feeding, cleaning and caring for cows, as well as fixing farm equipment. He hopes to return to Mexico in the next year or two to reunite with his wife and three children. Roberto Tecpile, a native of Astacinga, Veracruz, Mexico, is seen with a 3-day-old calf at the Rosenholm dairy farm in Cochrane. Tecpile has spent nearly 20 years in the United States, the past four working for farmer John Rosenow. 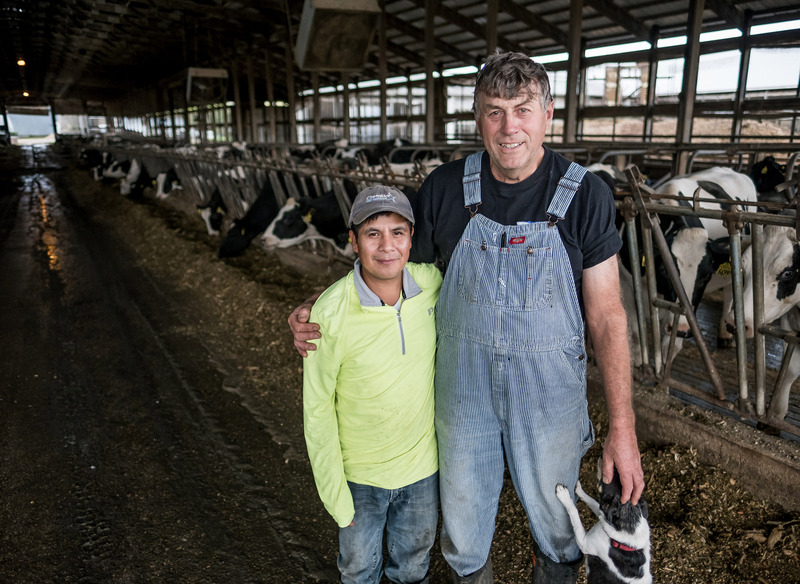 Shaun Duvall helped to found the Puentes/Bridges program to strengthen Spanish language skills among dairy farmers and increase cultural competency so farmers could work better with their employees. 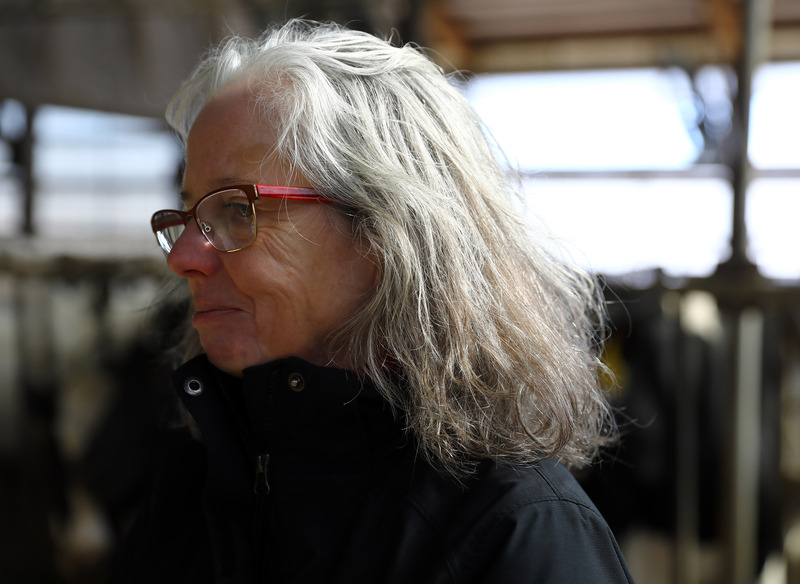 Here she visits one of her clients at a dairy farm in northern Buffalo County in March 2017. 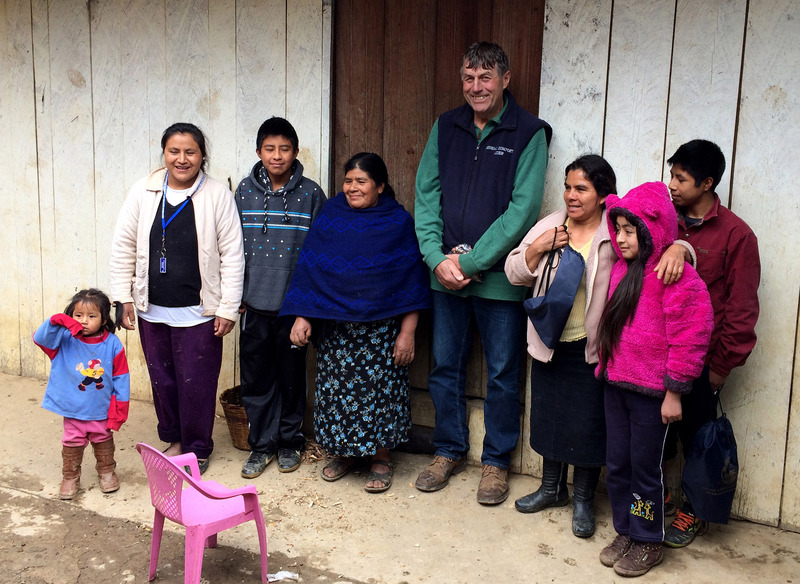 John Rosenow is photographed with the family of his employee, Roberto Tecpile, at their home in rural Mexico in January 2017. Rosenow made the cultural immersion trip with a program sponsored by Puentes/Bridges to meet his employees' families and learn more about their lives. 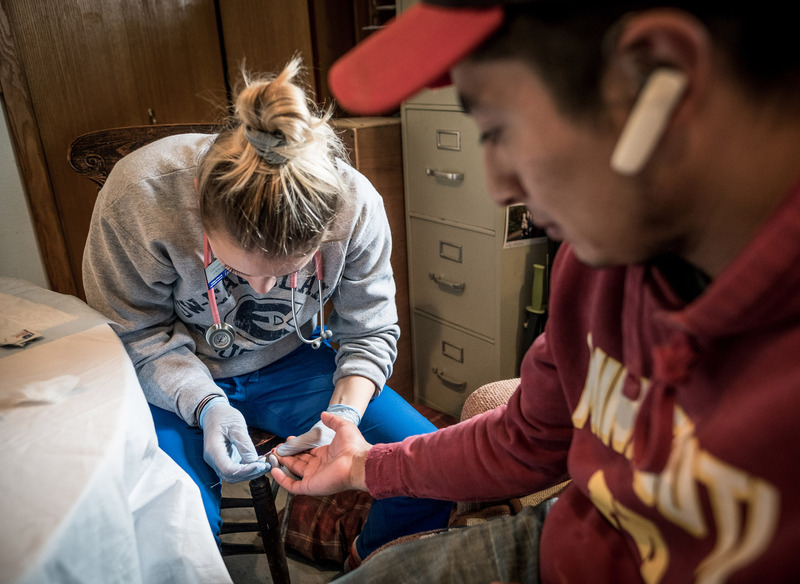 Cassandra Buerger, a nursing student at the University of Wisconsin-Eau Claire, takes a blood sample from Cristian R. (who did not want to give his last name), a worker from Mexico, during a health screening at the Rosenholm dairy farm in Cochrane on Oct. 10, 2018. As part of the university's Health Care for Immigrant and Local Farmers Clinical Immersion program, senior-year nursing students visit 19 dairy farms in Pepin and Buffalo counties to bring health care to farmers and their workers. 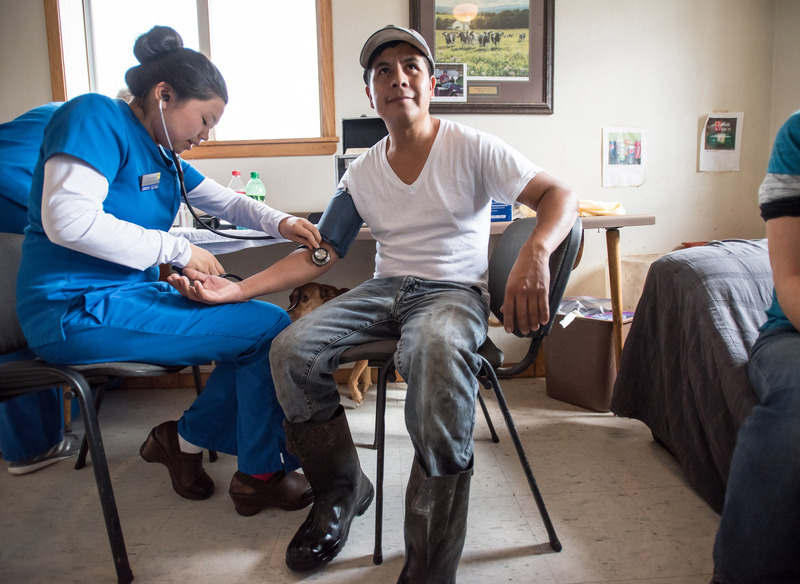 Roberto Tecpile has his blood pressure checked during a health screening by Amaris Vesely, a nursing student from the University of Wisconsin-Eau Claire at the Rosenholm dairy farm in Cochrane. Roberto Tecpile, left, a farm worker from Veracruz, Mexico, and John Rosenow, right, owner of the Rosenholm dairy farm, pose for a portrait at the farm in Cochrane on Oct. 10, 2018. Tecpile has been working for Rosenow's farm for the past four years, with hopes of returning to his family in Mexico in a year or two. Rosenow's farm participates in the Puentes/Bridges program, a nonprofit organization that arranges annual trips to Mexico to help foster better understanding and relationships between farmers and their workers.